jon friend I remember parking my dad`s 1967 Corsair on a yellow line outside the hospital to go to LET. The car alarm went off and when I went back a policeman was waiting for me to tell me off because it was a quiet zone!! Fat chance in Soho!! 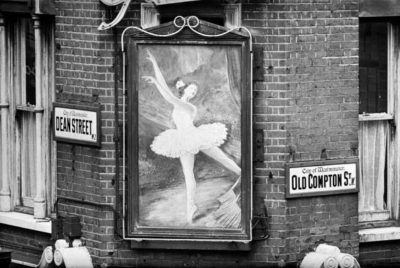 Elaine Gilboa When I was in London in August walking along Oxford Street it looked as though the whole block on the Les Enfants side had been taken down and was in the process of being reconstructed. It made me feel very sad. Adrian To Elaine and others - yes it was the pending destruction of so much of my, our history that prompted the creation of this site. A small attempt to document an era I think worthy of being remembered - but then I was there and as we age I think we become more nostalgic. 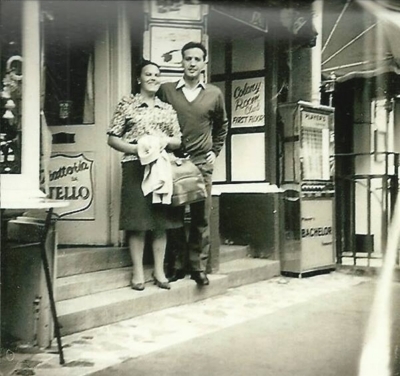 Jon F "Sic transit gloria mundi"
Geraldine Hurtault Remember my parents took me to Genaros in 1960's for my Birthday. I was given a posy of flowers by the Waiter and we had a lovely meal. I am now 70. 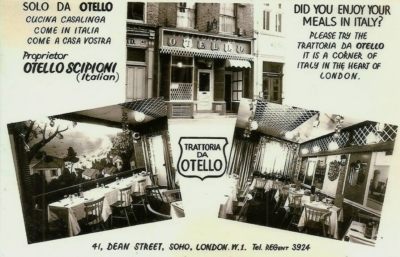 Dario Ciriello The son of Italian immigrants, I remember many Friday nights in the late 50s when, as a small child, my mum and dad would take me to dinner with them at Quo Vadis and one or two of the other trattorie in Soho. I think it was Quo Vadis that had the burning torch attached by a bracket above the door? That always impressed me. 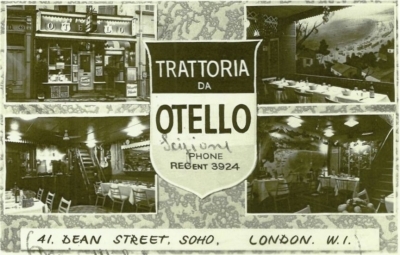 The closeness and conviviality of the Italian community in London in those days was delightful. Dario Ciriello Otello, of course, was one of the others. Dario Ciriello Oh my God, Pasquale, yes. Cotechino, one of the loves of my life since early childhood. We used to have it quite regularly. I still do once in a while! I don't remember the name Maini, but I can picture the interior and counter well to this day. Dario Ciriello Pasquale, a semi-reluctant emigre, I've been trapped in California's gravity well for most of the last three decades. Currently living in L.A, before that some 20 years in the SF Bay Area (Santa Cruz and East Bay), with a year in Greece in between, and I'm a writer (you can google me) and editor by profession. I still visit London once every couple of years. God, it;'s changed. And you? Pasquale Marioni got married, had 2 children, ran my own business till it was acquired in 2000 started another and still running it. 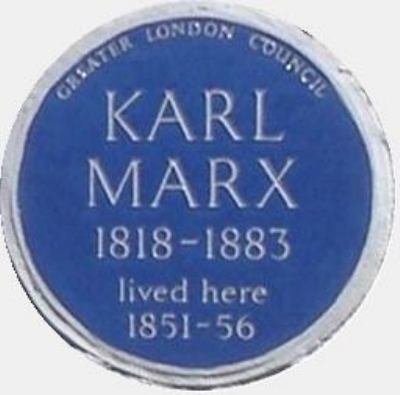 My wife died two years ago and now moving back as close to Soho as i can .... Marylebone or Clerkenwell. 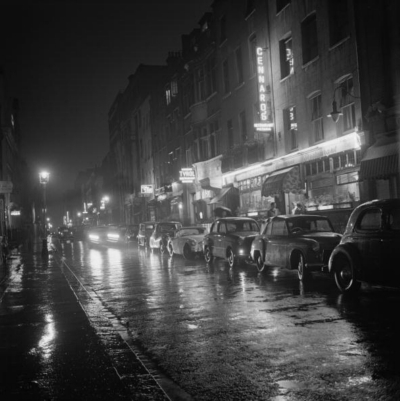 I visit Soho every couple of weeks including the Bar Italia for coffee. God those day were so remarkable, unexplainable...yu had to be there to feel it. Adrian Stern I'd forgotten that Alfredo. You must have been good! 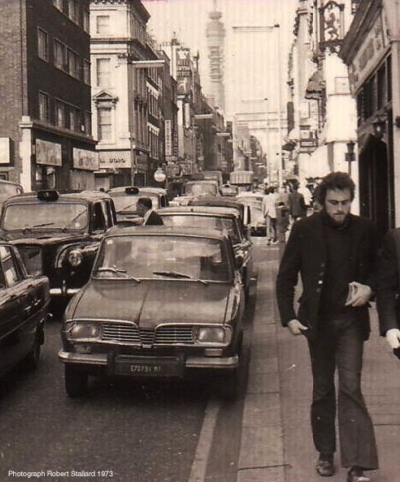 charles and i walked by many times between 1974 and 1977 ah. ah. !! Dario Ciriello Yup, I remember that plaque! Three of their five children died while living here, all in infancy. The rooms were rented at £22 a year. 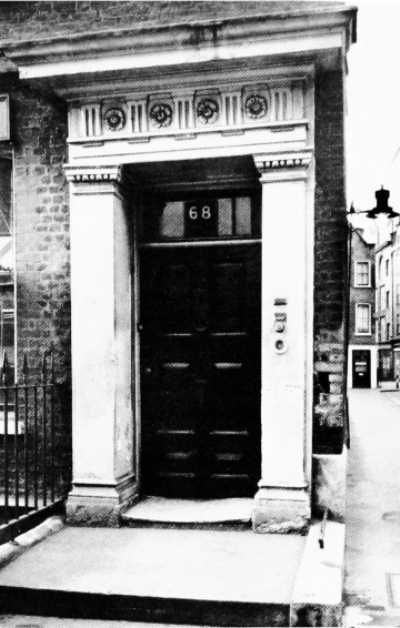 Marx's collaborator Friedrich Engels also lived in an apartment at 28 Dean Street. Adrian Stern We all have fond memories of the shop and of course the name. 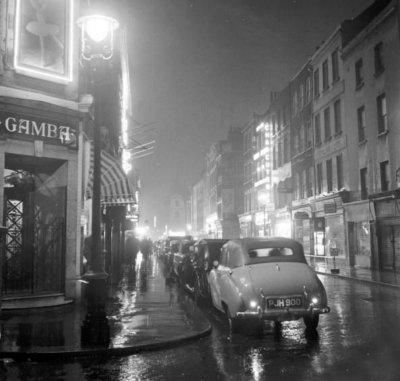 jon f me too, a wonderful Soho history. Michael The bomb site was a car park run by a real character, "Mick". jon friend I remember this place.it must have been established for years even back then. 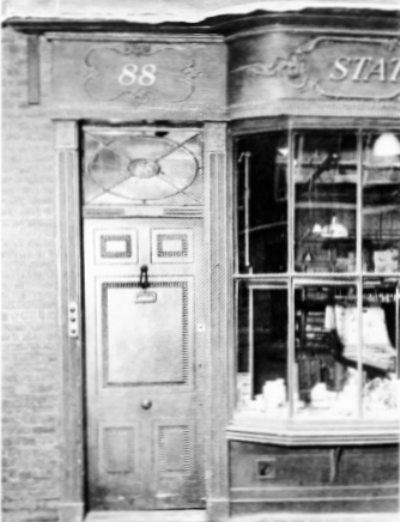 Adrian It's a late 18th century shop front so yes, quite a while! 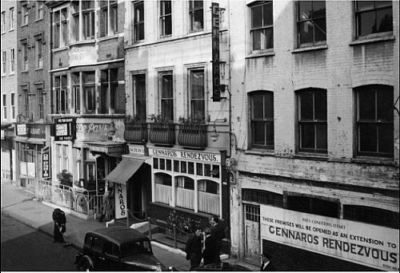 Jon might even be 18th century, I am glad we still retain some of what Soho was in days past. sheila lorraine rowhan I miss those days so much - R.I.P. Les Enfants Terribles! Terry That's all knocked down now. Thanks Crossrail. 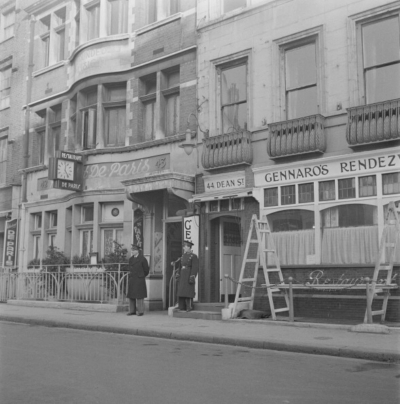 The northern and southern parts of Dean Street belonged from 1698 to the Portland estate. On both sides of the street, however, intermediate portions, comprising the sites of Nos. 36–41 (consec.) on the east, and Nos. 67–84 (consec.) on the west, were excepted out of the reversionary freehold grant made by the Crown to the Earl of Portland in that year. 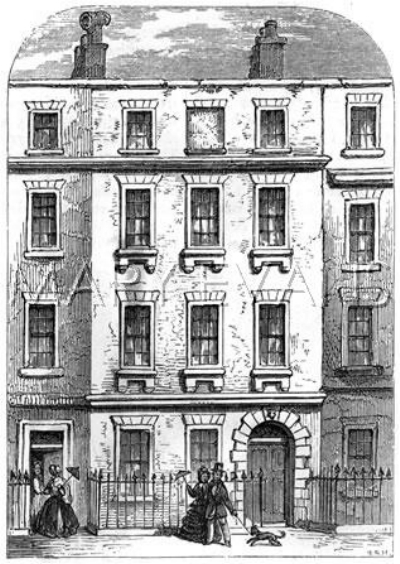 They had been leased by the Crown in reversion in the previous year to Thomas Pitt, and are more particularly described in the chapter on the Pitt estate. 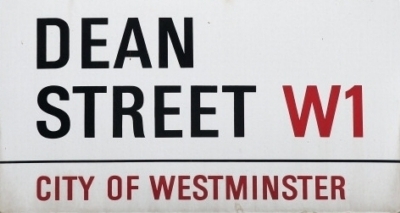 Dean Street is first mentioned by name in the Act of Parliament of 1678 delimiting the site of St. Anne's Church, of which the street formed the eastern boundary. The origin of the name is not known. 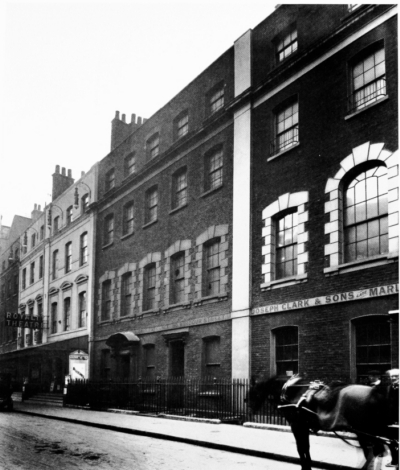 It was said in the nineteenth century that the street first appears in the St. Martin's ratebooks in 1681. Among the ratebooks now surviving it does not appear by name in that year, but does in the next available book, for 1683. The development of the street had been slower than that of neighbouring streets, and only fifteen ratepayers are listed in that year. It is impossible to identify their houses, but it is probable that they were in the southern part of the street, below the present Nos. 41 and 67. 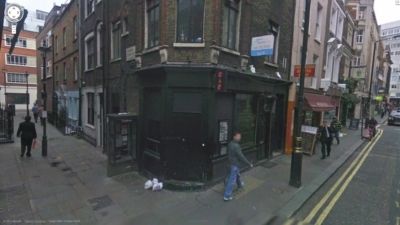 In this area Richard Frith and his associates would probably have been able to begin building near their other early street-developments in the southern part of Soho Fields, before financial troubles caused a halt in the early 1680's. The slow progress of the street as a whole, however, was caused by the fact that the central part of its intended line (approximately, from Bourchier Street to St. Anne's Court) ran through Cooke's Croft and Billson's Close. Here existing sub-leases, and the intervention of Nicholas Barbon, hindered Frith's plans. In March 1682/3 part of Cooke's Croft and Billson's Close was leased by William Pym, who had acquired Frith's interest in this and other property, to a George Bradbury as trustee for Barbon. The area thus leased, consisting of a large plot on the west side of the street (Nos. 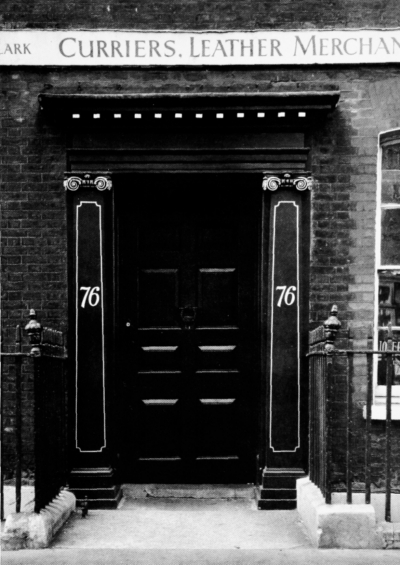 67–84 consec.) which comprised almost all the extent of Cooke's Croft and Billson's Close on that side, and a much smaller plot (Nos. 36–41 consec.) 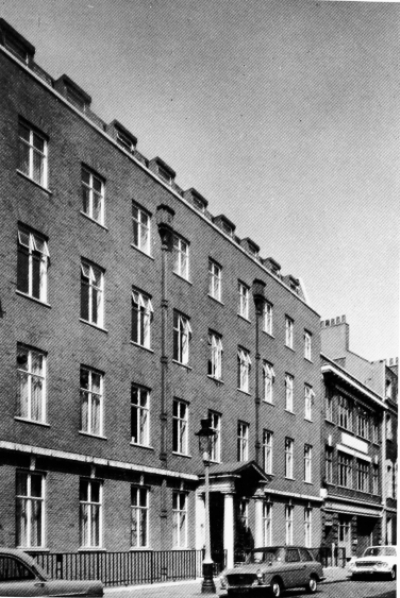 on the east, subsequently became the Pitt leasehold estate. The lease from Pym in 1683 involved an undertaking to build on the property and in the years c. 1686–8 Barbon and Bradbury's assignee, Arnold Browne, were making agreements and leases for building here. The sites on the western part of their property attracted a good class of tenant. Most of the area of Cooke's Croft and Billson's Close on the east side of the street was not included in this lease from Pym to Bradbury. 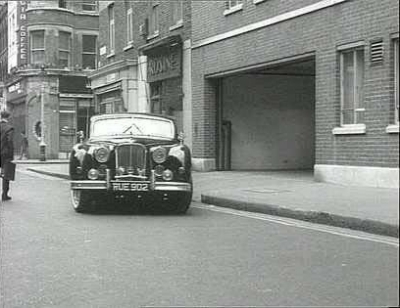 Northward was a plot, probably including the western end of Bateman Street, which Pym retained himself. 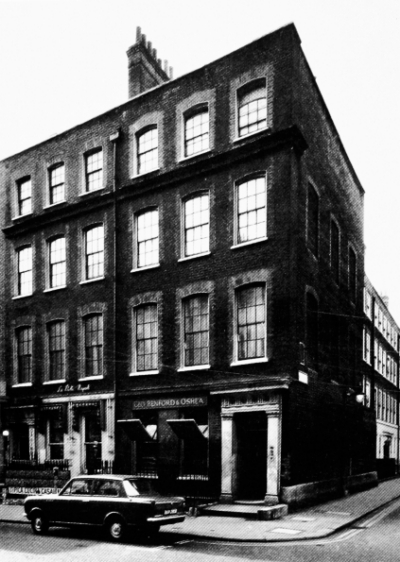 Another part, probably further north, was leased by Pym in 1684 to Isaac Symball, the building speculator. 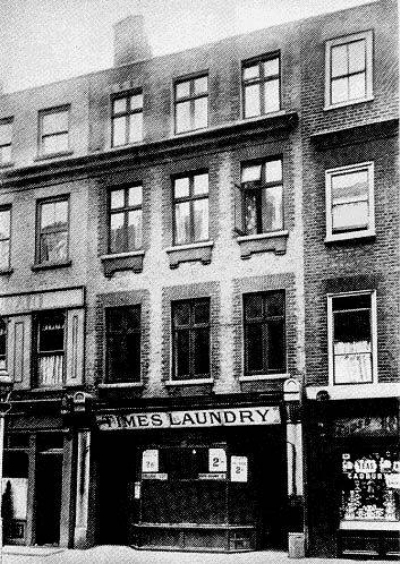 Another plot on the east side of the street was leased back by Pym to Frith at an unknown date. 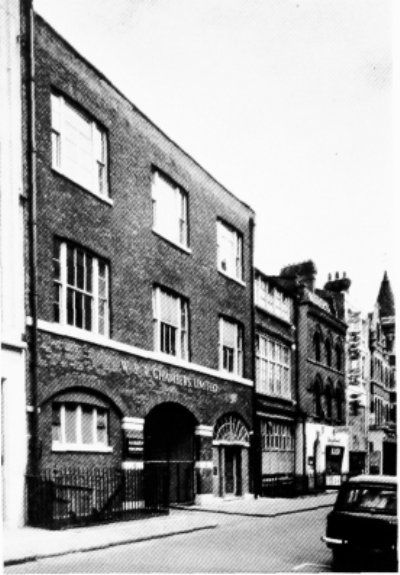 It is uncertain whether this was part of Cooke's Croft and Billson's Close, or (more probably) ground to the south of that property and north of Old Compton Street which by 1682 Frith had sub-let to his brother Matthew, who like him was a bricklayer. Ogilby and Morgan's map of 1681–2 shows the area of Cooke's Croft and Billson's Close still undeveloped. Their map seems to err, however, in showing the more northerly part of the street already built upon. In the ratebook for 1691 upwards of forty houses appear in the street. The building-up since 1683 of the area acquired by Bradbury and Barbon is evident, and persons of title appear as ratepayers. 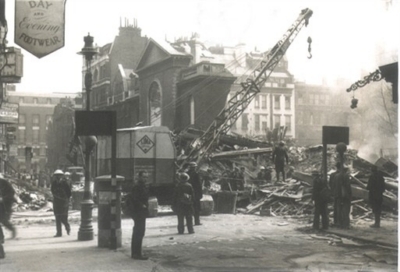 North of this, both the eastern part of St. Anne's Court and all King's Square Court (now Carlisle Street westward of Dean Street) appear to be fully built. 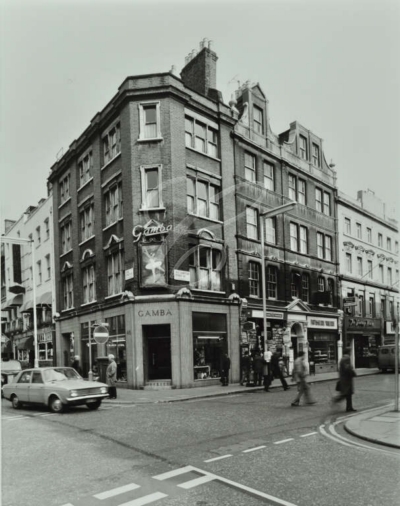 The former had been very recently built under leases granted by Edward Andrews, esquire, and Nicholas Burnell, haberdasher; here also the property seems at one time to have been Barbon's. 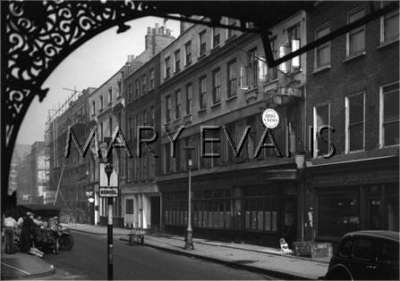 Northward of St. Anne's Court probably the whole of the west side of the street had been comprised in a lease made in 1685 by the assignees in bankruptcy of Benjamin Hinton to Job Bickerton and William Webb, carpenters, and Edward Roydon, turner. They, however, had themselves become heavily indebted to Philip Harman, the executor and son-in-law of the original lessee of the whole area, Joseph Girle. 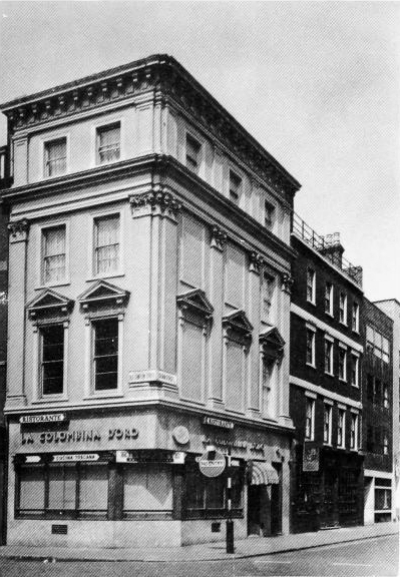 Harman had shrewdly continued Girle's role as supplier of building materials, and by 1687 held mortgages on this north-western part of Dean Street totalling upwards of £2,500. 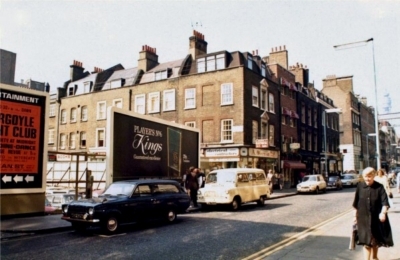 Some houses had then been finished (probably Carlisle House and the other houses in King's Square Court). But the builders' indebtedness evidently delayed the completion for habitation of most of the houses in this northward part of the street until the 1690's. They had assigned part at least of the ground back to Harman by 1691, and Crown (now Diadem) Court was being built in the early 1690's by lessees direct from Harman. It existed by name in 1693. 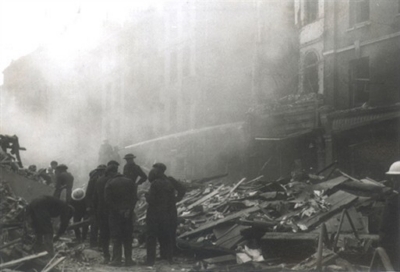 The ratebooks indicate that by 1697 the west side of the street was more or less built up and tenanted. 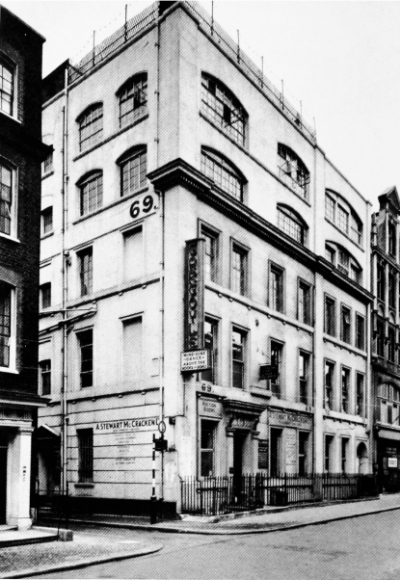 On the east side, however, this more northerly part, consisting of the backs of sites in Soho Square, remained only partially developed, as the rear premises of the houses there, for another century. Despite the protracted history of the building of the street, its alignment seems to have been unaffected. It was said in 1678 that Barbon's intervention in Cooke's Croft and Billson's Close had caused changes in Frith's pursuit of his scheme, but the line of the street shows no evident sign of alteration. Few of the names of the tradesmen directly concerned in the first erection of houses in the street are known. 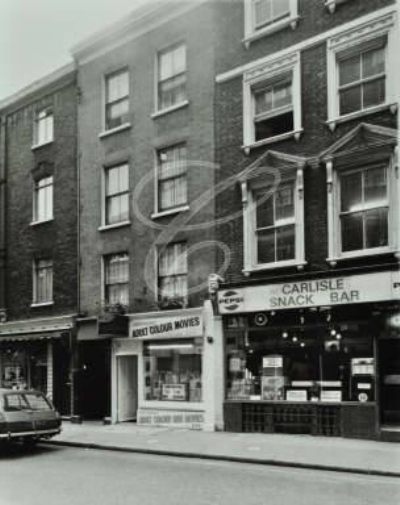 In March 1682 a carpenter, John Costin, possessed a house at the north-east corner with Old Compton Street. 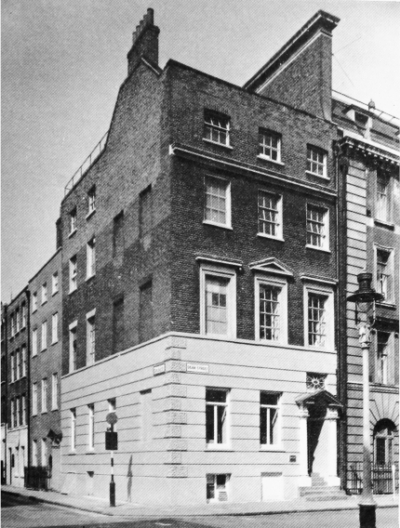 In that month an unfinished house adjacent northward was leased by Frith and his associates to Frith's brother Matthew, a bricklayer of St. Martin in the Fields, who covenanted to finish the house. By 1688 it was said that he had 'absconded himself and is since gone … to Jamaica' leaving the house unfinished. 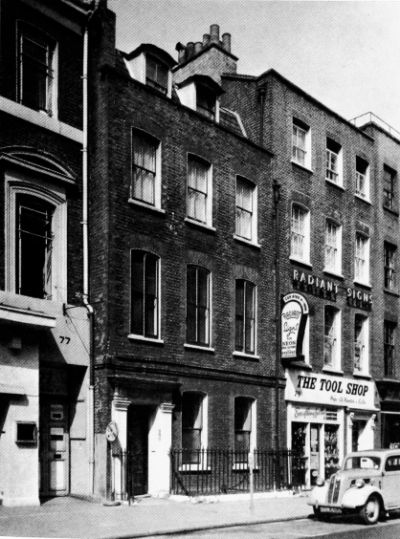 In the later 1680's the Soho carpenter, Richard Campion, and the bricklayer, Alexander Williams, of St. Giles in the Fields, who were in some way associated in the building of St. Anne's Church, were also associated in the building of houses on the east side of Dean Street: Williams, like Matthew Frith, was said to have failed to finish his houses. Campion's estate at his death in 1691 included five houses in the street, valued together at about £1,300. 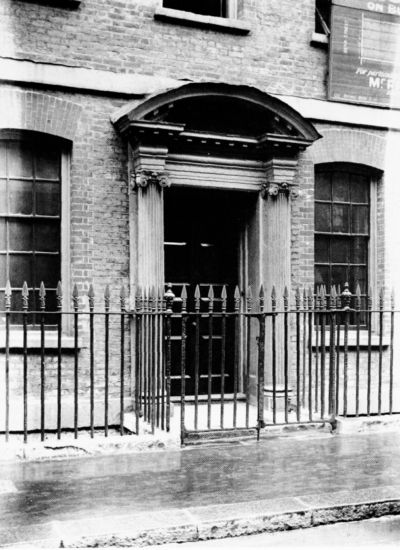 On the west side of the street, in the neighbourhood of Meard Street and Bourchier Street, two carpenters, Thomas Farley of St. Sepulchre's, and John Goodman of London, and (at another site) a joiner, Thomas Wildman of London, were working on houses, c. 1686–8, for William Maddox of St. Anne's, locksmith or blacksmith, a lessee under Barbon and Browne. Both undertakings resulted in accusations of bad workmanship or delay in finishing the work. 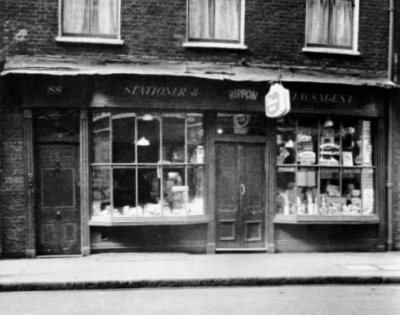 Another carpenter, Boniface, had a site in this part of the street in c. 1686. 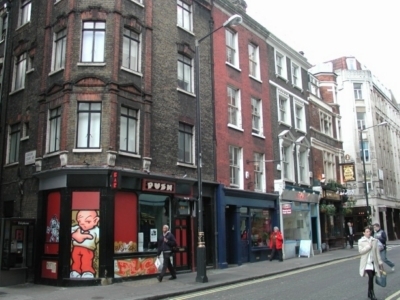 Its first developers gave the street a more generous width than the others in Soho. 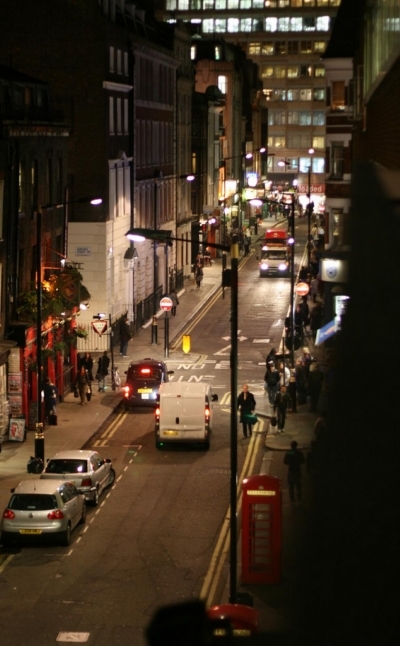 In 1720 Strype described it as 'a spacious Street … It is graced with good Buildings, especially the middle Part, but that towards the Road [i.e., Oxford Street] is but ordinary'. 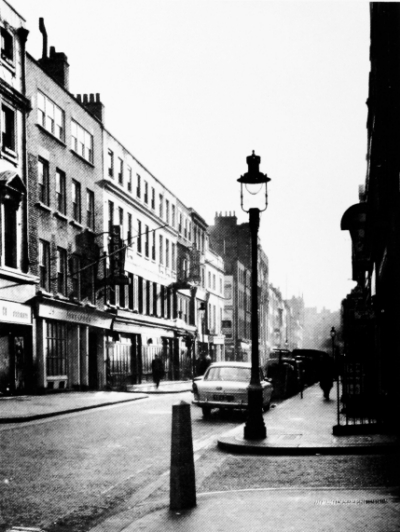 Some fourteen years later, with the expiry of the Earl of St. Albans's leasehold interest in Soho Fields and of the other interests dependent upon it, an extensive rebuilding of the street took place. 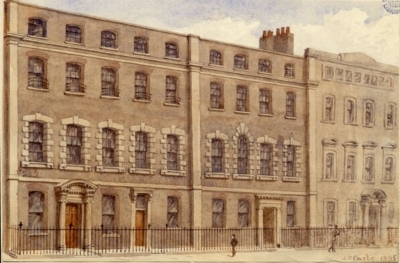 On the Pitt leasehold estate in the centre of the street the redevelopment c. 1734 amounted to an almost complete rebuilding: it included some handsome houses for wealthy occupants. On the Portland estate the redevelopment was less comprehensive, but was a nearly complete rebuilding at the north-west end of the street. 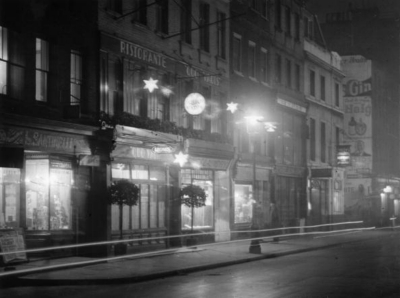 Here one new, short street was made where Titchfield (now Fareham) Street joined Dean Street to Great Chapel Street. The records of the licensing of victuallers show that, apart from the Rose and Crown at No. 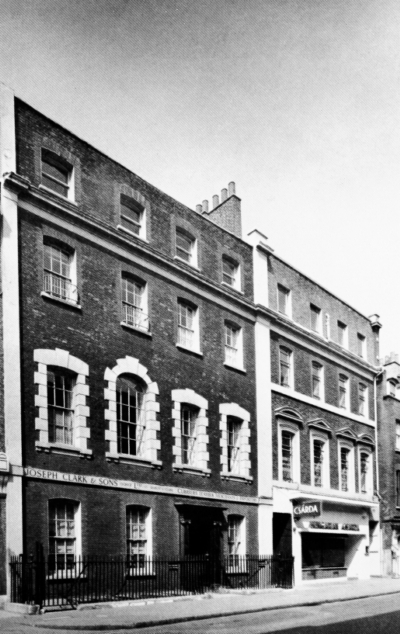 85, four public houses in Dean Street have probably existed on their present sites (although not in their present buildings) since the first half of the eighteenth century. Three then bore their present names. At Nos. 31–32 the Crown and Two Chairmen existed in 1737 and, as the Crown, in 1724. At No. 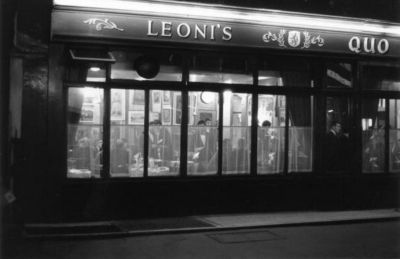 51 the Golden Lion existed in 1728. At No. 89 the Highlander existed in 1748. On the site of the Bath House, at No. 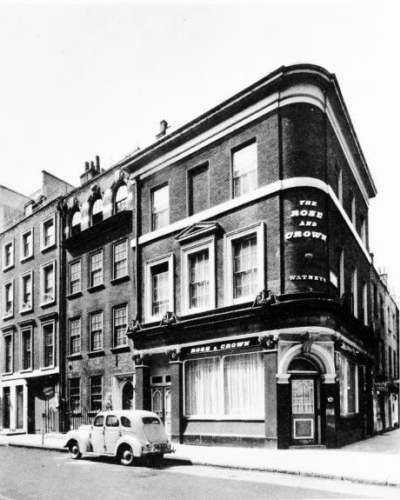 96, a public house called the Green Man and (French) Horn existed in 1748 and, probably, in 1738. T. P. Chipp, perhaps the musician, c. 1825.